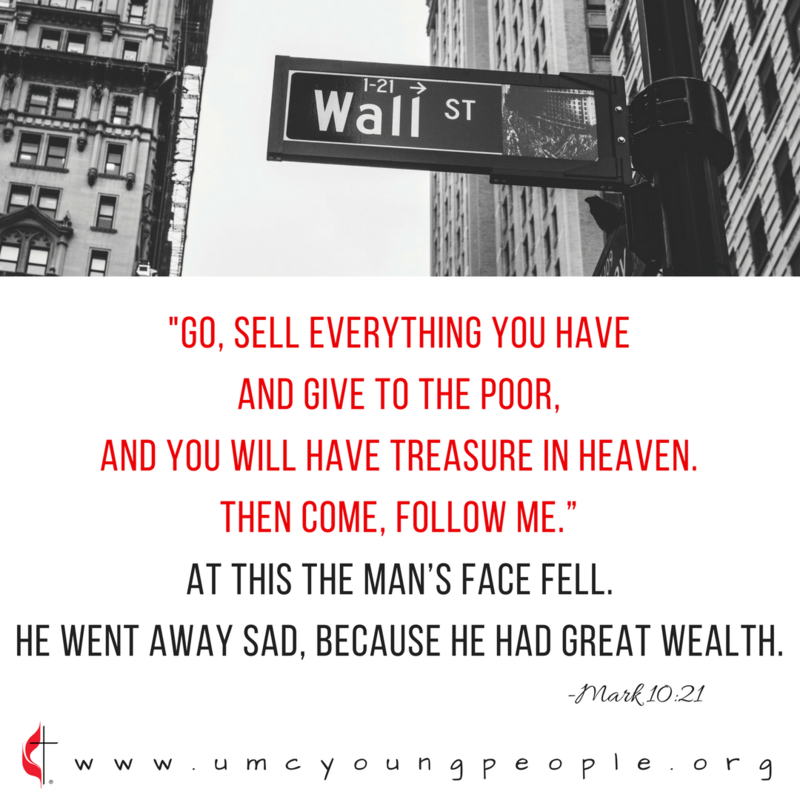 One of my favorite stories in the Bible has to be the story of the rich young ruler, found in Mark 10:17-23. If you’re unfamiliar with it, the story goes that Jesus is approached by this young man who asks what he must do to enter the kingdom of God. When Jesus tells him to sell everything and come follow Him, this ruler goes away disappointed because he has a great deal of wealth. It’s a story that comes up again and again in my life. From receiving it as an answer to prayer, to hearing sermons on this exact passage, I keep coming back to this young man’s question and the response that he’s given. “Good teacher, what must I do to inherit eternal life?” Jesus answers first with a question, “Why do you call me good? No one is good except God alone.” Classic Jesus. If you’ve ever asked a question to only be answered by a question, you get how frustrating this can be. But Jesus is establishing something very important with this question, namely that if this young man is calling Jesus good, he must be equating him to God. Simple enough. But if we dig deeper into the implications, it becomes more complex. To put it simply, if Jesus is God, than what he says is true and trustworthy. So what Jesus tells this young ruler is not only true, but good for him as well. Jesus asks this man to give up the one thing that is holding him back from following completely. The wealth this young ruler possesses is instead possessing him, and Jesus calls him to give it up. “Come follow me instead of your money,” is the underlying whisper. But he can’t! This ruler walks away because he will not give up the possessions that are holding him back. Clearly, this guy does not trust this “good teacher” enough to give up his treasure. These aren’t easy questions, and thankfully our God is full of patience and grace. But I truly want to trust. I want to be able to call Jesus a good teacher and not only believe it but act on it. Because if I believe, than I can let go of what is holding me back from the “come follow me.” I don’t want to walk away disappointed with the answer. I don’t want to walk away from that invitation. Discussion Questions: What is the “one thing” that is holding you back from trusting and following God completely? How can you take steps to surrender and trust the Good Teacher? If you don’t know what is holding you back, what question should you be asking God? How do you think Jesus would answer, or what question would he ask you?